Outlook: Molalla's swimmers will be in the hunt for a Special District 2 (SD2) title, but it will not be easy. The teams return several key swimmers from last season, including junior Corinne Oster, senior Jaycee Gago, and sophomore Kira Knox on the girls side, and junior Linden MacKenzie, senior Benjamin Hamilton, and junior Maxwell Kavanagh on the boys side. However the 22 underclassmen and first time swimmers will be need growth to contend for district titles. The new swimming club team at the Molalla Aquatic Center will hopefully pay dividends down the road. "Our team is very young and has a lot of room to grow and improve to hunt down a district title," head coach Melissa Georgesen said. "The key to success is to swim on a club team all year long. The kids you see qualifying for State are all on a club team. We are building our club team at the Aquatic Center and hope to have more swimmers feed from one team to the next in the coming years." In the SD2, Molalla faces several strong challenges, but 4A La Grande figures to be the strongest competitor. 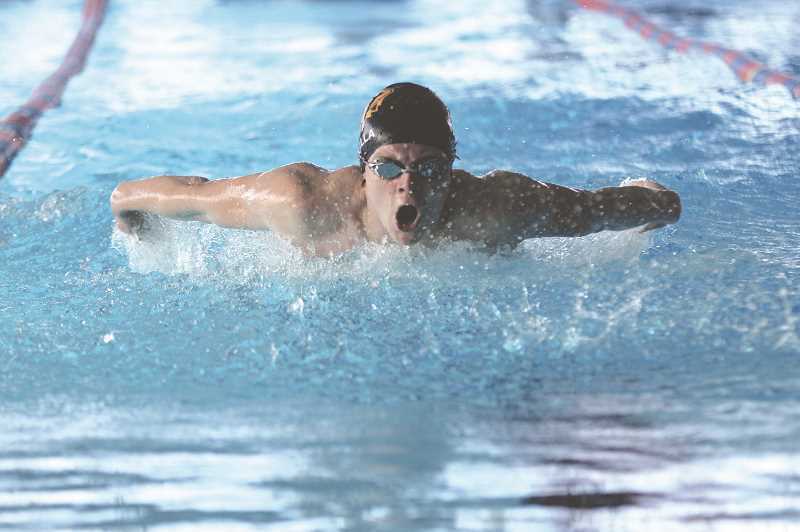 The Tigers will be hosting the District meet, and with a host of club swimmers, Molalla will have its work cut out for it. The growth of the team though portends good things for the future. Georgesen and her coaching staff are focusing on developing not only the swimming acumen of the athletes, but also the character of the swimmers. "I am happy to say we focus on sportsmanship, technique and teaching every swimmer how to be the best versions of themselves," Georgesen said. "Winning is not the most important aspect of our team. We strive to meet each swimmer at their level of play and push them where they most need it. We have an amazing team of parents who are crucial in running our home meets."